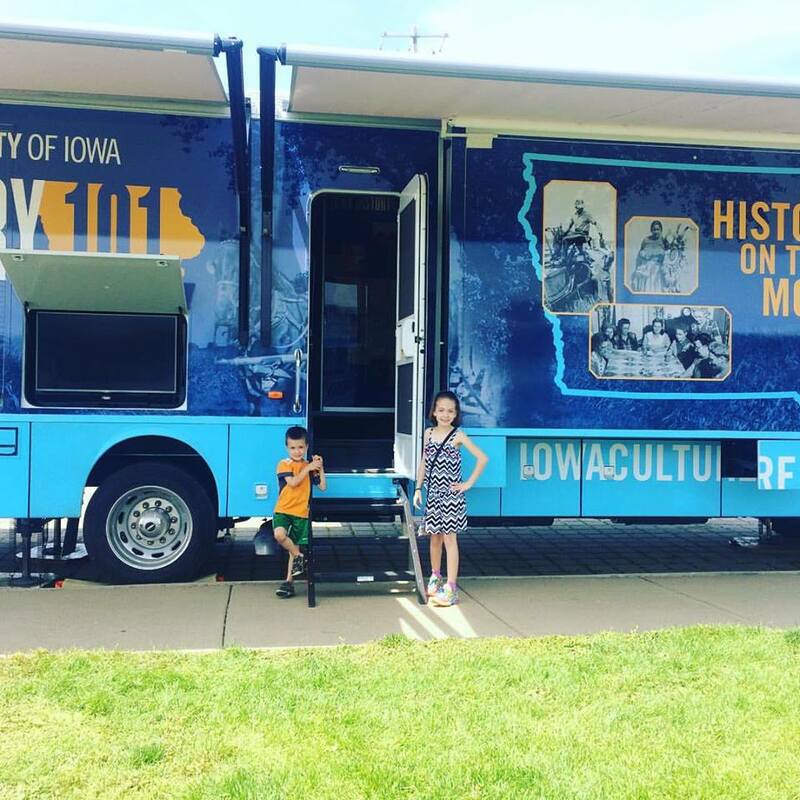 The Iowa History Bus was in my town this holiday weekend! 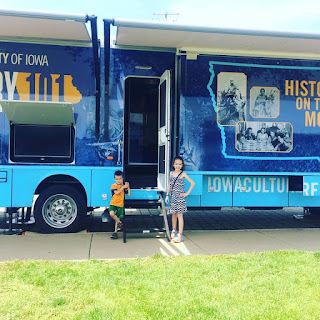 It was free so of course, we went in and learned a few things about our state. The kids now have a better understanding of the farming state we live in. It was about 75% farming and now down to about 35% farmers. 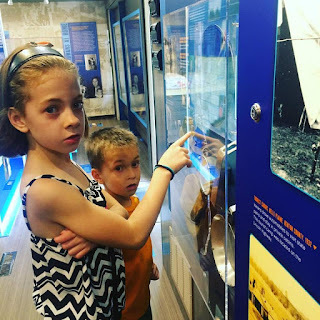 The kids saw some old roller skates, records, rotary phone, and so much more.